Charles Marcus, originally from the UK, now based in Toronto, Canada is a much sought after high content motivational and business speaker. 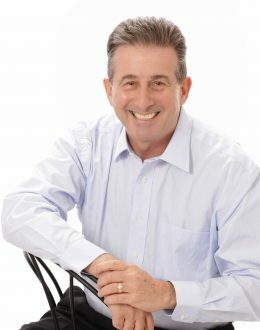 He spent over 20 years in a sales and service related industry winning international awards for outstanding customer service and always being in the top 1% of sales achievers in the companies he worked for. Today, Charles is a successful entrepreneur and runs a global speaking and training company. What is remarkable is knowing where he came from. For many years, he could not do what most people take for granted—speak. He suffered from a severe stuttering disability, being written off in life and suffering much ridicule, rejection and humiliation and living in a world of virtual silence looking at life from the outside instead of within. Charles realized his dream after making an important decision: to take full responsibility for his life and to confront his challenges and fears head-on. His powerful story of overcoming adversity and winning against the odds combined with his business savvy expertise and down to earth manner and style makes him a firm favourite and inspiration to people around the world. He will be honoured later this year at the prestigious Top Ten Event recognizing “10 Celebrated Canadians” who have made a difference in their country in different ways. His client list includes, American Express, McDonalds, Hilton Hotels, Sony, Mercedes-Benz, Sun Life Financial, Bank of Montreal, Leela Hotels, World Management Forum, CIO 100, Proctor and Gamble, Johnson&Johnson, Loreal, Amway, Life Insurance Round Table of India, Schneider Electric, MPI, Northrop Grumman, Kao Corporation, Millennium Software Systems, Northwestern Mutual Life Insurance and Financial Services, Special Olympics, RBC, Government of Canada.